The Meads is one of the streets in the Harrow postal district of Middlesex. Edgware tube station is a London Underground station in Edgware, in the London Borough of Barnet, in north London. 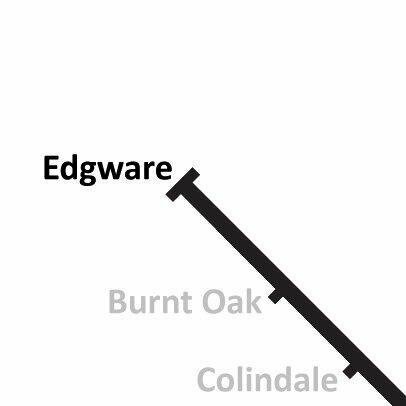 The station is the terminus of the ’’Edgware branch’’ of the Northern Line. Edgware (sometimes Edgeware) was an ancient parish in the county of Middlesex. Edgware is a Saxon name meaning Ecgi’s weir. Ecgi’s was a Saxon and the weir relates to a pond where Ecgi’s people would catch fish. The Romans made pottery at Brockley Hill, and is thought by some to be the site of Sulloniacis. 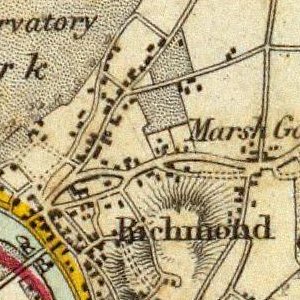 To the north west was Canons Park erected by Duke of Chandos. From 1932 - 1965, Edgware was in the Borough of Hendon. The majority of Edgware nowadays is a ward in the London Borough of Barnet represented by three councillors. The western edge of the Edgware Road is in the London Borough of Harrow. 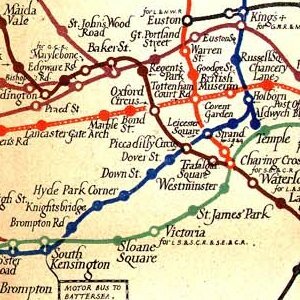 It is principally a shopping and residential area and is more widely known as being a northern terminus of the Northern Line. There is a bus garage, a shopping centre called The Mall (formerly known as The Broadwalk), and a library. There is a large hospital, Edgware Hospital. There are two streams, Edgware Brook and Deans Brook, which are tributaries of the River Brent. 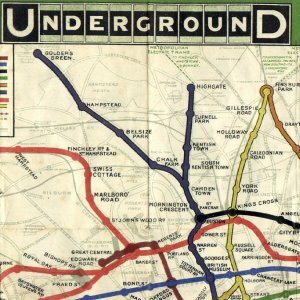 Edgware tube station was opened on 18 August 1924 as the terminus of the second phase of the Underground Group's extension of the Charing Cross, Euston & Hampstead Railway from Golders Green. It was designed by architect Stanley Heaps. There are three platforms, an island lying east of a single platform (platform 1). A trainshed covers the island platforms (2 and 3). 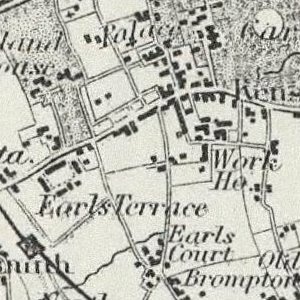 Despite having already had a railway station since 1867 (Edgware station on the London and North Eastern Railway), Edgware was, in 1924, still very much a village in character. The new Underground station was built on the north edge of the village in open fields and, as intended, the new line stimulated rapid suburban expansion along its length. By the end of the decade, what had formerly been fields was quickly being covered with new housing. 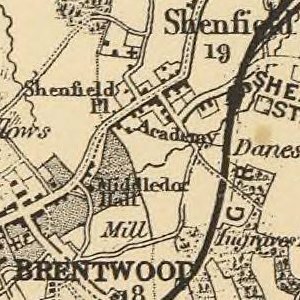 The site of the station is very close to the location intended for the unbuilt Watford and Edgware Railway's (W&ER's) station, which was intended to be built on a branch from the existing single-track LNER branch before the terminus and run through to Watford Junction via Bushey. 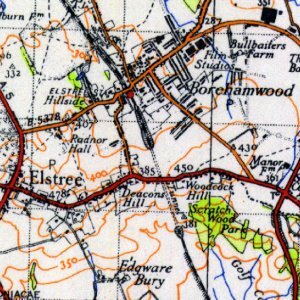 From Harrow Weald in the northwest to West Hendon in the southeast, and from Stirling Corner in the northeast to Harrow in the southwest.